We use Lonely Planet phrase books whenever we roam outside of Europe's core English-French-German-Italian-Spanish-Portuguese language zone. 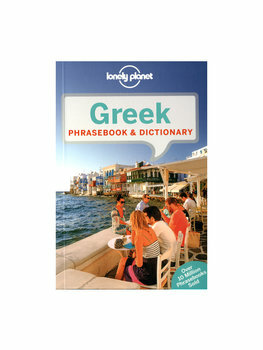 This pocket-sized volume will help you connect with the locals in Athens, Delphi, Meteora, Sparta, Crete, Mykonos, Santorini, Rhodes — and everywhere in between. It's the perfect companion to the Rick Steves Greece: Athens & the Peloponnese guidebook!